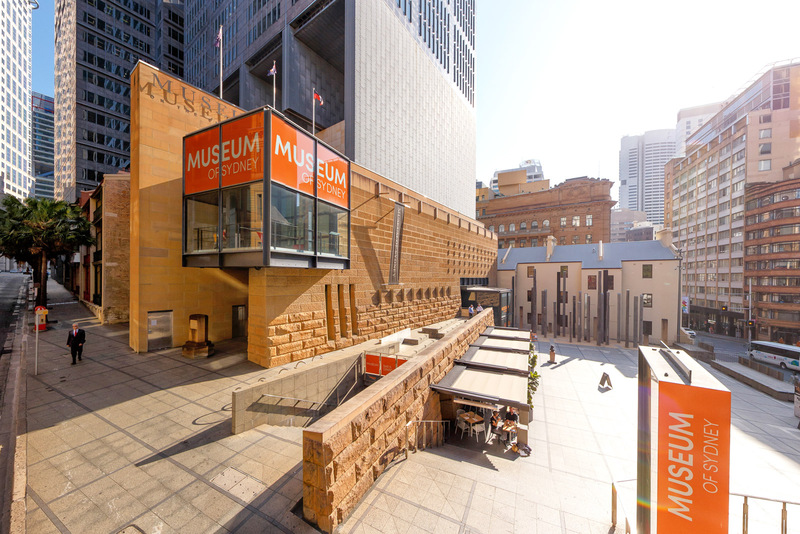 Built on the site of Australia’s first Government House and a two-minute walk from Circular Quay, the Museum of Sydney is a beautifully designed, purpose-built museum and event space. 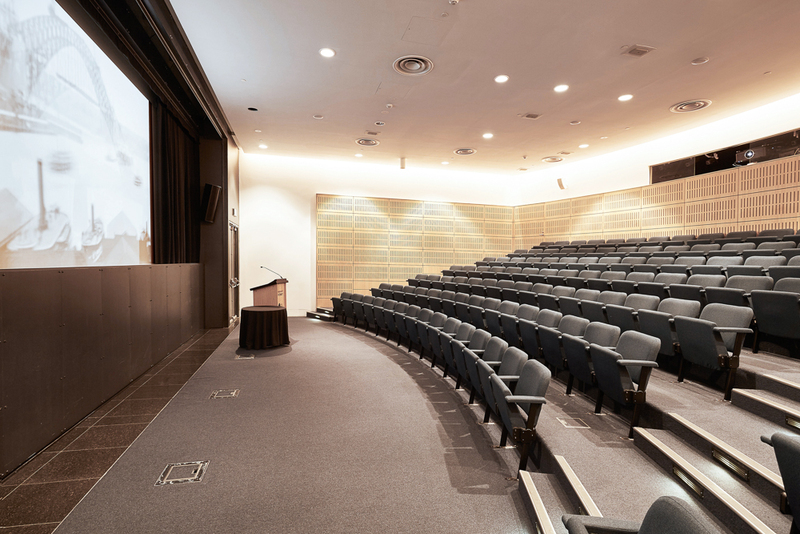 Featuring tiered seating and fully integrated audiovisual facilities managed by our in-house Audiovisual Services staff, the Warrane Theatre is perfect for AGMs, webcasting, conferences, product launches and media events. 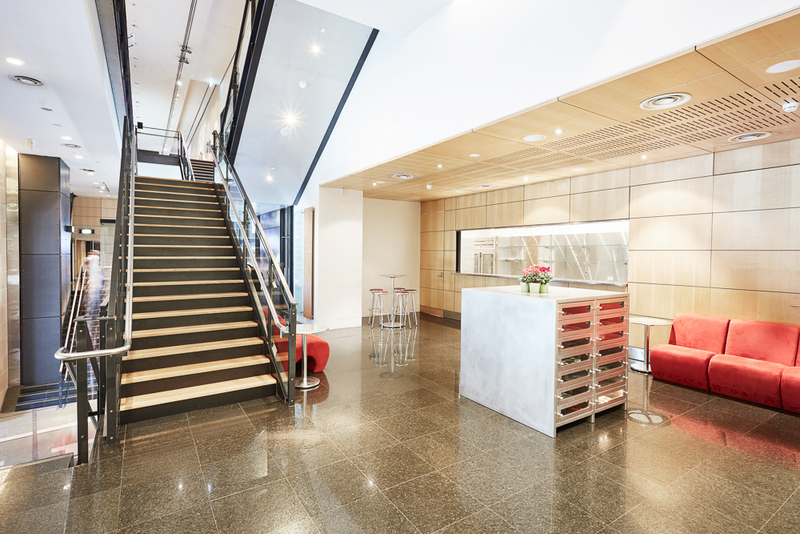 In combination with the flexible lobby area, which is perfect for refreshments or cocktails, event organisers have a convenient ‘end-to-end’ solution for a variety of business events and functions, located in the heart of Sydney. Spend a night at the museum - the Governor Phillip Hall accommodates up to 120 guests for a banquet, set against a dramatically-lit backdrop of sandstone and brick. Your guests can glimpse the remains of the earliest foundations of British colonisation in Australia through glass openings, and mingle freely among the exhibits. 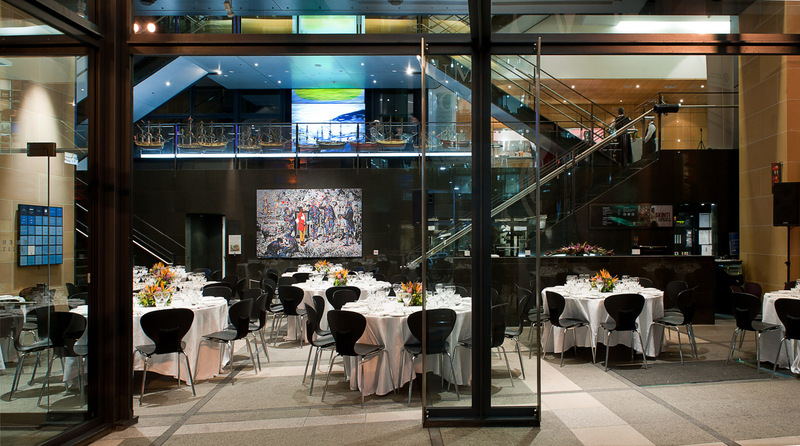 The First Fleet Gallery overlooks the hall from level 1, and is ideal for pre-dinner drinks. Incorporating permanent and temporary exhibits, Governor Phillip Hall and the First Fleet Gallery can accommodate up to 250 for cocktail parties. An extraordinary space for an intimate dinner or cocktail party, the Viewing Cube’s cantilevered glass structure has spectacular views of Phillip Street and Circular Quay. 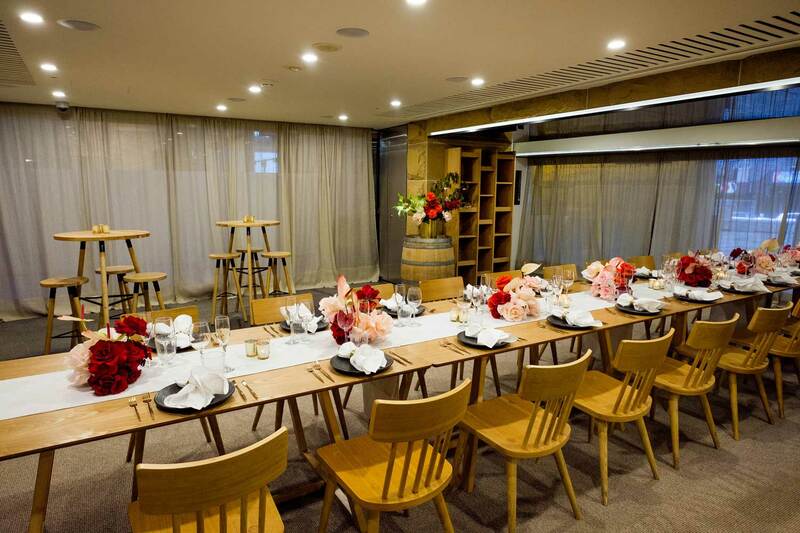 With its entry through the museum’s History of Sydney exhibit on level 2, the Viewing Cube is a truly unique venue for dinners up to 20 guests and cocktail parties for up to 40 guests. Enjoy the beautiful sandstone and natural elements of this light and versatile space from 24 to 200 guests. 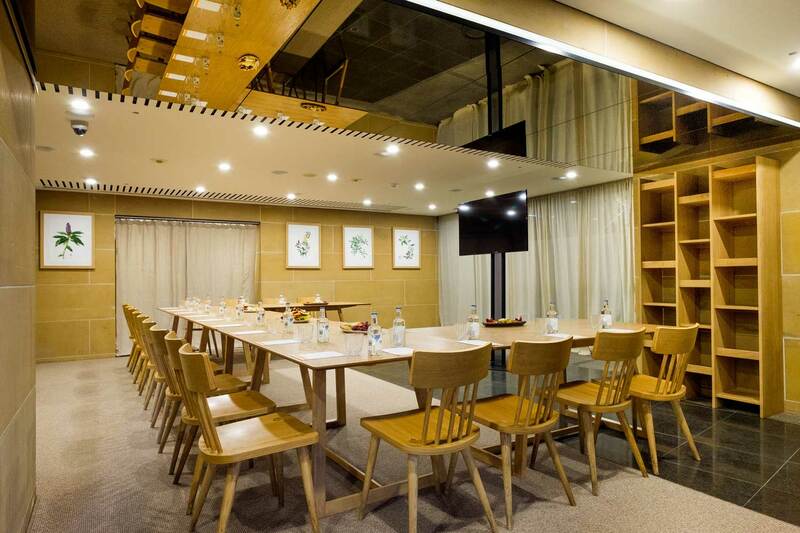 Perfect for all day workshops or team strategy days, cocktail and dinner events, wedding receptions and bespoke events, we invite you to experience our newly renovated contemporary event space. 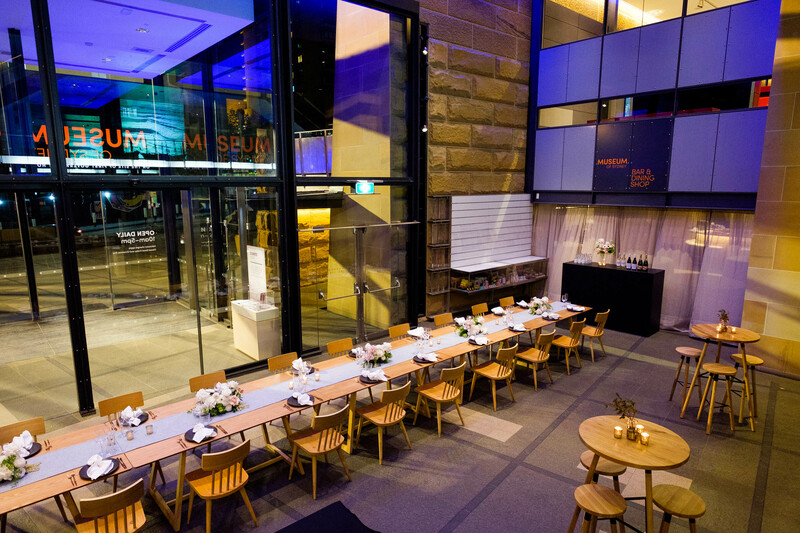 Ask our Venue Sales Coordinator about hiring the entire Museum of Sydney for your next event. Accommodating up to 500 guests for a cocktail reception, the three floors of exhibits provide a memorable setting for your guests. Subject to availability and the requirements of the event. Warrane Theatre, Museum of Sydney. Nawi Room, Museum of Sydney. Viewing Cube, Museum of Sydney. 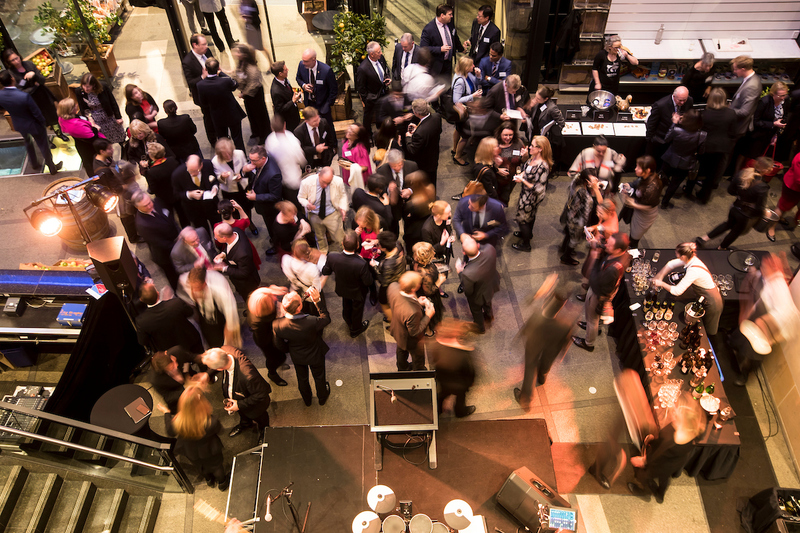 Cocktail Events, Museum of Sydney. Entrance Cube, Museum of Sydney. We offer an exciting range of premium menus created by our hospitality partner, Pomelo + Co. Whether you are organising a conference, cocktail reception or gala dinner, Pomelo + Co will provide premium catering experiences and lasting memories. Our in-house Audiovisual Services team can provide any additional audiovisual equipment you require; set-up and technical support by a dedicated audiovisual operator are included with equipment hire. 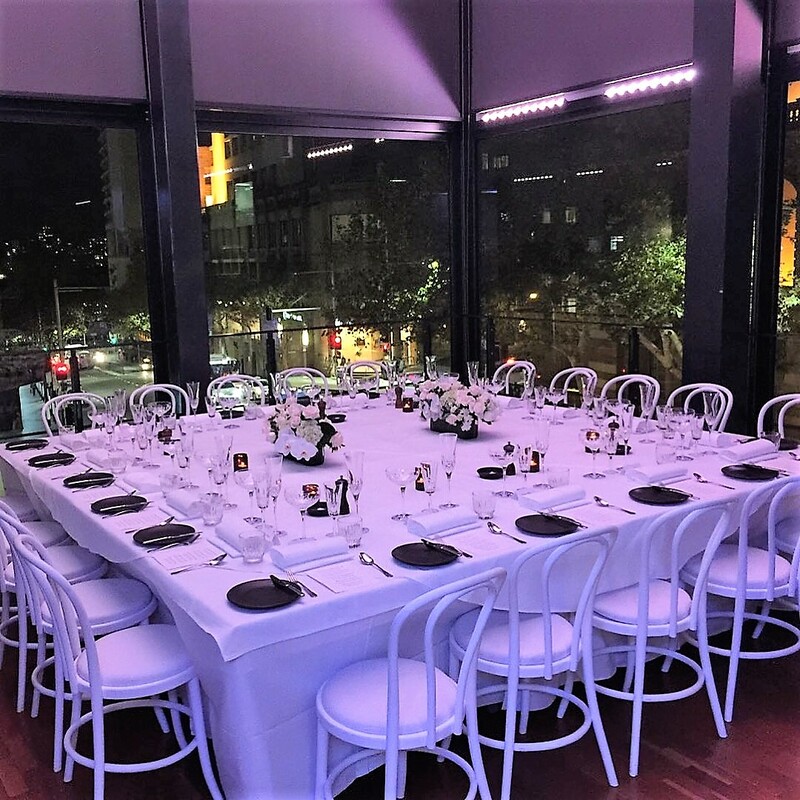 A dedicated member of our friendly Venue Services team at the Museum of Sydney will work closely with you to create a successful and memorable event for your guests. 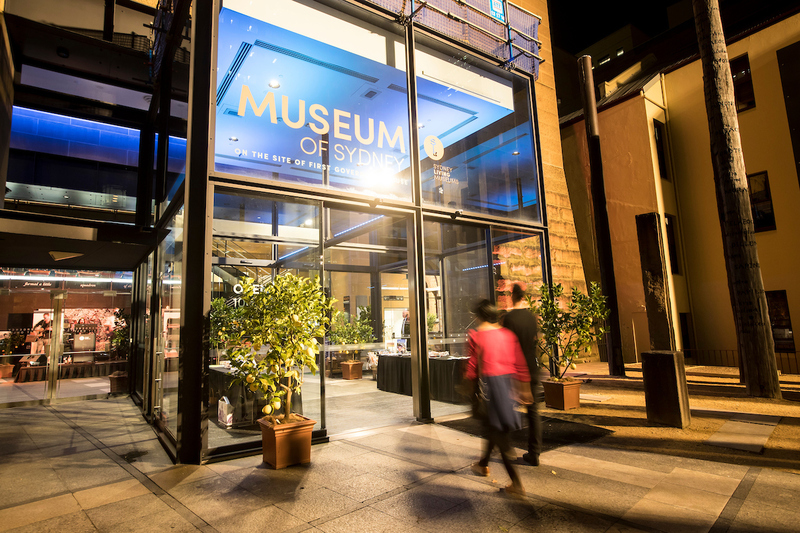 WiFi is provided for delegates and guests attending events at the Museum of Sydney. The museum’s diverse program of exhibitions adds atmosphere and interest to every event. Give your guests a fascinating behind-the-scenes perspective with a specialised curator-led tour, or we can organise a private visit to an exhibition at one of our other historic houses and museums. Our experts can also design a customised tour around your particular area of interest such as architecture and design, arts and crafts, food and dining or genealogy. Please speak to our Venue Services team for more details. The Museum of Sydney is located on the corner of Phillip and Bridge streets, Sydney. There is no public parking available, however, the Sydney Opera House Car Park offers an early-bird rate and is a short walk from the museum. For public transport options please see the Visit the Museum of Sydney page.